Real were awarded a controversial penalty late in the tie, which Cristiano Ronaldo promptly converted. While Zinedine Zidane lamented the fact that Juventus custodian Gianluigi Buffon had to get sent off in what might be his final UEFA Champions League game, the Real Madrid tactician insisted that Los Blancos deserved to go through to the semi-finals over the course of two legs. “I don’t think that he deserves to go out in this way, but there’s no going back on it now. What happened at the end of the game won’t change or take anything away from what he has done in the game,” Zidane told his press conference after the tie in Madrid. 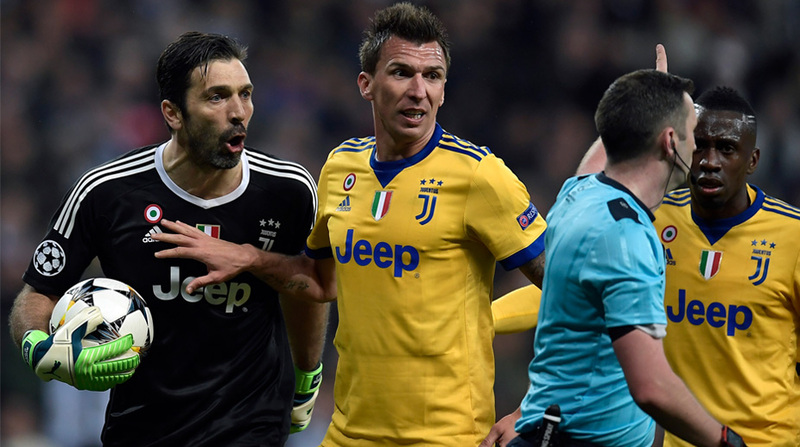 After Juventus successfully levelled the tie at 3-3 (on aggregate), against all odds, the tie seemed destined for extra-time only for Michael Oliver to award Real a penalty deep into injury-time. Bianconeri centre-half Medhi Benatia had his hands on Real winger Lucas Vazquez’s back as he sought to prevent the Spaniard from scoring and while there wasn’t much contact, the spot-kick was awarded, much to the disbelief of Juve and in particular, Gianluigi Buffon. As the veteran remonstrated with the official, perhaps too vociferously, he was sent in for an early bath, leaving the Serie A leaders down to 10 men. Wojciech Szczesny came on but the Pole could do little to prevent Ronaldo from scoring the deciding goal, which saw Real go ahead 4-3 on aggregate, with bare seconds left in the tie. Zidane was asked about his thoughts on the penalty incident, to which he responded, “It was a penalty, they’ve told me it was a penalty. I didn’t see it. The ref awarded it and we can’t change that, but I think it was a penalty. “There is nothing left to say. We’re in the semi-finals and we’re happy with that. They played well but we were just average, the difference is we kept believing until the end. We deserved to go through to the semi-finals over the course of the tie and we can be pleased with that,” the Real Madrid boss added.